I woke up early this morning, much earlier than usual. I usually sleep six hours a night and turn everything off. I am available 18 hours a day and those who need to get in touch with me can do so during those 18 hours and wait for six hours as I recharge my batteries. You may wonder what I do in case of emergencies and the answer is simple; the world has kept its orbital path around the sun long before I was born and will continue to do so long after I am gone and emergencies will be catered to 18 hours a day. I was given a nice surprise this morning as Japanese markets got hammered pretty bad in a good way. When I woke up and turned on the news to check into the latest developments I saw the Nikkei 225 was down roughly 4%. I checked our accounts and we made a complete turnaround. 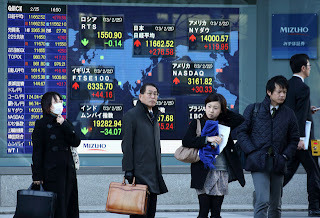 As the morning progressed trading was halted in Japan as circuit breakers were triggered and the Nikkei 225 closed the session down 1,143.28 points or 7.32%. I could have not asked for a better start into my day. European indices pointed to declines of over 2% to start the day and U.S. future looked to tank as well. Pleased with the turnaround in our portfolios I opted for a mid-course correction and lock in profits which would allow our entire portfolio a fresh start in the green. 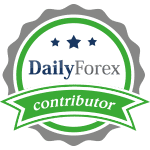 We all have been waiting for a rather big market correction and while one day makes no difference we saw plenty of reversal trades. Dumb money said it was a great time to get in and while the contraction in Chinese manufacturing data caused the sharp sell-off we needed to see the bearish momentum last through the end of the U.S. session. Europe closed off its lows and with roughly an hour left in the U.S. we saw a rebound in major American benchmarks. What Japan will do tomorrow will be vital. While it may not spark the overall global sell-off it was one of the biggest reminders that we are close to the end game in this bear-market rally. Yes, we saw all-time highs in the U.S. and multi-year highs in Europe and most ignore the fact that we are in a giant bear market. The strongest bear markets are well hidden in bull super-cycles. The rebound from post financial crisis lows has been violent, but only due to the artificially pumped up equity markets. Central bankers have thrown a huge party and ran up a tab and the markets are soon going to present the check which central bankers will not be able to cover. The end of the party is near and smart money has positioned their portfolios for the next 50%+ move which will not be to the upside. The highs for 2013 may have been clocked in yesterday and it will be a smooth ride lower from here. In case we see a few more points added to 2013 highs I will move a substantial part of our portfolios as well as my personal wealth on the short side of the trade where all other smart money managers are migrating to. Dumb money thinks the next 50% will be bullish which explains why dumb money has not been able to create wealth and grow their portfolios. I take today’s present as a mid-year fresh start and am making plans for the next seven months of the year. Opportunities are everywhere we seek to realize them and after a mostly depressing May this will give us a great opportunity to close this month with a bang and work towards great Q2 and H1 finish.